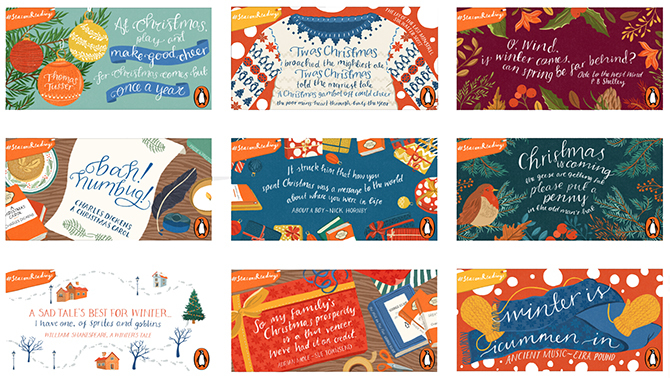 I am very excited to reveal some of the designs I’ve been contributing to Penguin Books’ Season’s Readings campaign this Christmas. 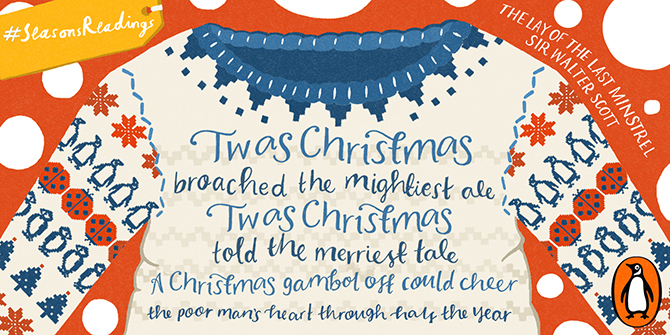 These seasonal literary quotes have been popping up on Penguin’s Twitter page during the countdown to Christmas. This one coincided nicely with Christmas Jumper Day! You can take a look at the page here, and I’d recommend hitting the follow button, as their Christmas gift suggestions and bookish discussions have been marvellous! 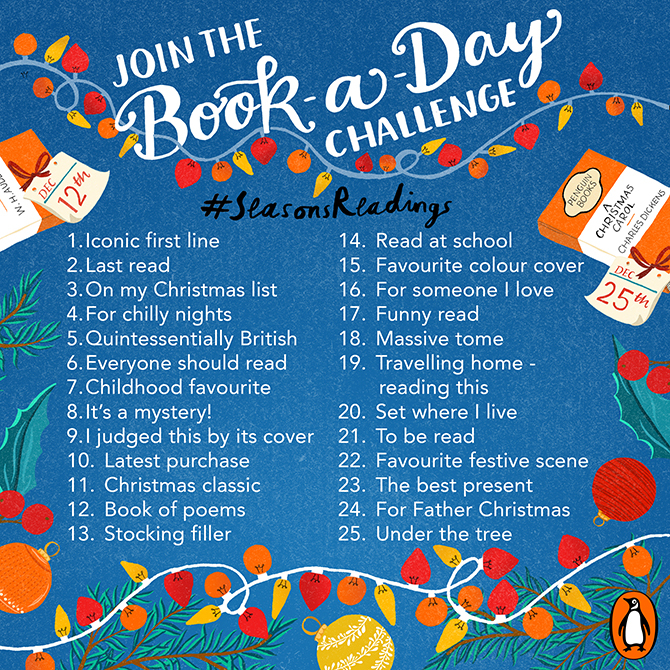 I have also helped with their Instagram Book-a-Day Challenge, for which I illustrated this little graphic. It’s not too late if you want to get involved!